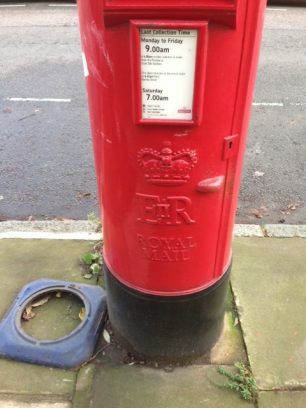 Apparently there are 100 post boxes in St John’s Wood. 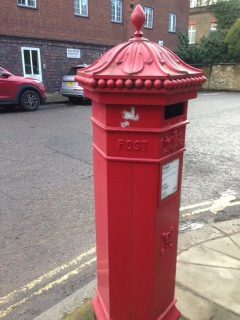 The hexagonal design known as the Penfold after its architect John Penfold dates from 1879 – hence their name of pillar box – although they have been in use since 1852. 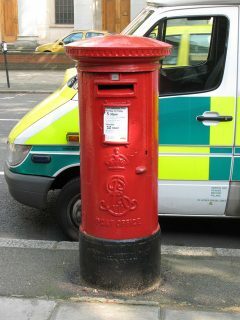 Since 1905 they have been made of cast iron and their standard colour, red, dates from 1874. 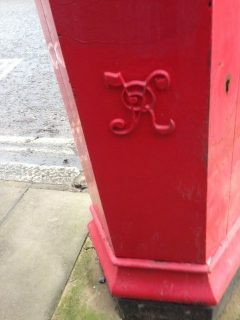 The one in Cunningham Place, off St John’s Wood Road, bears the Royal cipher of Edward VII. The Edward V11 boxes had the posting aperture as part of the door rather than the body of the box – eliminating any chance of mail getting caught up in the top of the box. This basic design remains the same today, having served well throughout the reigns of George V, Edward V111, George V1 and Elizabeth II. 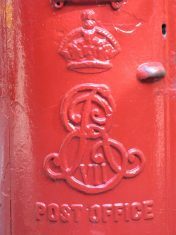 Old Ordnance Survey maps mark the position of letter boxes with PLB and it is interesting that some have moved their position, for example in 1893 there used to be a box at the south end of Hamilton Terrace. The one currently in Cunningham Place presumably replaces it. This page was added on 24/12/2018.